McMaster University holds the records of the churches in the diocese as well as the non-active docesan records. 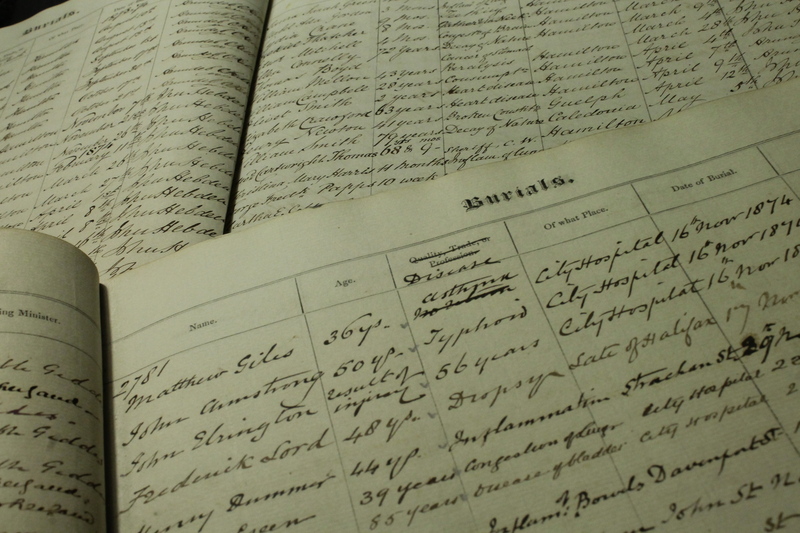 This includes marriage, birth, and burial records for more than 100 parishes. Records from churches dated earlier than 1869. A list of past bishops and clergy. Researchers should also be aware of the Gladys McAndrew fonds which relates to missionary work and residential schools undertaken by the Anglican Church in Canada from 1943 to 1954. In 1975 McMaster University reached an agreement with the Anglican Diocese of Niagara to collect, describe and preserve the records of the churches in the diocese as well as the non-active diocesan records. Since that time the records of almost all of the churches in the diocese have been deposited at McMaster, amounting to more than 100 parishes. The Diocese covers approximately 3,320 square miles in the province of Ontario. The most northerly towns are Harriston and Mount Forest; the western boundary is Nanticoke; the eastern perimeter is marked by Oakville and the Diocese extends southwards to Fort Erie. The records are on deposit only and remain the property of the Anglican Church. Not sure where to start, a helpful guide. Before you arrive, identify which Church and which registers you will want to look at from the listing. If you know when you are visiting, please send us an email letting us know which registers and we will have them ready for you. When you arrive, we will register you as a researcher and then set you up with your material. Many of the registers are fragile. You will be given microfilm copies to search for your records. Please bring a USB flash drive to save images from the microfilm. None of the registers are digitally available online. For genealogical requests, staff at the William Ready Division can look up an entry and send a colour pdf, if you can provide the name, date, and parish for the event. For more detailed searches or for further assistance, we recommend you contact the parish directly, or try the local Ontario Genealogical Society.